Exploring the origins of VR can take us back as far as 1838 if we choose to focus solely on VR as means of creating an illusion of alternate surroundings, of being present somewhere we’re not. Charles Wheatstone’s stereoscope was the first device able to give its users a feeling of depth and immersion. But it was not before the 20th century that things really started to take off. 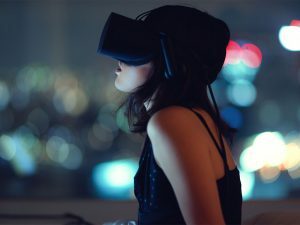 The first head mounted display was introduced in 1960, and the public interest skyrocketed in the 1990s, with the introduction of VR arcade machines and gaming consoles. Around that time, in 1987, the term “Virtual Reality” was born. Today, VR has many practical applications in healthcare, military, education, but above all in the entertainment industry. 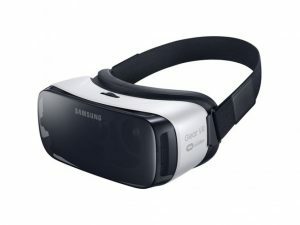 There are many affordable head-mounted, and even mobile phone sets available, allowing you to play various games, with adjustable experience levels, depending on the strength of your CPU and GPU. You may even want to visit a virtual casino, or play a game of poker with a group of total strangers. Be warned, though, that in the world of avatars, any advantage your “poker face” might give you, is effectively invalidated. While everyone’s bucket list probably contains one or two exotic destinations to visit, the sad truth is that most of us simply can’t afford it. This is where VR steps in, with 360-degree photos and videos, allowing you to freely look in any direction, but without the possibility of any interaction with your virtual surroundings. That’s as close as it gets short of a Matrix-style simulation, but even with these limitations, it’s quite spectacular and, most importantly, totally free of charge. One of the advantages of VR road trips over the actual ones is that they allow you to visit some extraordinary places, such as craters of active volcanoes or the Sun’s the corona. While you may not need a VR headset to buy your favorite kind of chocolate from a web store, a virtual mirror could really come in handy when browsing for a new pair of sunglasses or a suit online. This technology is still very rudimentary because all you can provide is a 2D photo of your face, but once 3D scanners can upload scans of your entire body to the virtual shop assistant, there really won’t be any need for changing rooms anymore. … ET being the acronym for “Experience Technology.” It is believed that in the not-so-distant future, instead of information, the experience will become the main commodity on the Internet. People will buy and share experiences delivered through VR, transforming it into a new kind of social media.